The Murder of MLK: James Earl Ray: Bounty Hunter? James Earl Ray: Bounty Hunter? 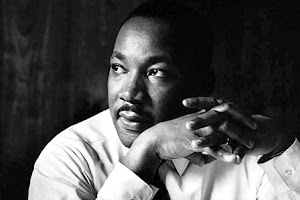 There have been numerous conspiracy theories proposed over the last fifty years as a means to explain the assassination of Martin Luther King. Most of them have them have been almost entirely speculative or just downright silly. In two recent books, authors Stuart Wexler and Larry Hancock have attempted to revive a 40-year-old theory proposing that James Earl Ray “probably” shot Dr. King in response to a $100,000 bounty being offered by a group of racist, right-wing extremists. Putting aside, for a moment, the fact that there exists nothing even approaching proof that Ray actually fired the fatal shot, just how well supported is this theory? In the late 1970s, the House Select Committee on Assassinations was tasked with reinvestigating the assassinations of both John F. Kennedy and Martin Luther King but failed to do so in either case. Far from being a no holds barred search for the truth, what the Committee actually performed was little more than a public relations exercise, aimed at quieting the growing number of critics and reaffirming the official solutions. Or, at least, not straying too far from them. In the case of King's tragic murder, the Committee's primary objective was to ensure that Ray took the blame. But when it became clear that Ray was not the angry, violent white supremacist he had been made out to be, the Committee found itself stuck for a motive. Russell Byers was a notorious St. Louis criminal whose name came to the Committee's attention via the report of an FBI informant. Byers had apparently told the informant that he had once been offered $10,000 or $20,000 to kill Dr. King by a lawyer and a short, stocky man who walked with a limp. The latter individual, Byers claimed, was the man “who made the payoff to James Earl Ray after the killing.” The Committee liked Byers' story enough to call him to testify. However, someone must have informed Byers that Ray was flat-broke when he was picked up in London two months after the assassination because Byers dropped all reference to a “payoff” when he gave his testimony. He also upped the amount he was supposedly offered to $50,000  and identified the two men as John Kauffmann and John Sutherland—both conveniently dead. For obvious reasons, few people with a grasp of the facts have ever taken the Committee's theory seriously. It is surprising, then, to see the same basic idea being regurgitated today by Wexler and Hancock. In their version, however, the bounty was being offered by the White Knights of the Ku Klux Klan, and the evidence that Ray heard of and planned to collect it comes in the form of statements made by his fellow inmates at the Missouri State Penitentiary. The problems with all of this are readily apparent. The stories are all mutually exclusive since each of the inmates related an entirely different version of the supposed bounty to the other. Depending on whose statement you choose to accept, the money was coming from the KKK, Cooley's organization, someone in Philadelphia or an unnamed businessman's association. Additionally, the amount on offer was either $10,000, $50,000 or $100,000. What's more, two of the inmates expressed an interest in being paid for their stories, two repudiated their own accounts, and one gave a story so vague it was devoid of any real meaning. Yet, if you can believe it, Wexler and Hancock have, at one time or another, cited all except Raymond Curtis in support of their theory. As far as I can see, the only way it is even possible to reconcile each of these accounts is to suggest that the non-violent, soft-spoken Ray who usually kept largely to himself both inside and outside of prison, somehow got himself in a position to hear about every one of these different bounties and then expressed an interest in each one but to an entirely different individual each time. Does this not seem a tad far-fetched? It should be fairly obvious to even the most gullible individual that all of these inmates could not possibly have been telling the truth. On the other hand, they could quiet easily have all been lying. Which, if you ask me, they most likely were. And that means, once again, that there is no direct evidence that James Earl Ray ever heard of or planned to collect a bounty on the life of Dr. King. And that simple fact leaves the HSCA/Wexler/Hancock conspiracy theory dead in the water. House Select Committee on Assassinations, MLK volume 7, p. 182. House Select Committee on Assassination report, p. 372. House Select Committee on Assassinations, MLK volume 13, p. 248. FBI Interview of James W. Brown, 5/8/68 and FBI MURKIN Central Headquarters File, Section 28, p. 190. FBI MURKIN Central Headquarters File, Section 33, p. 25. Stuart Wexler & Larry Hancock, Killing King, p. 73.